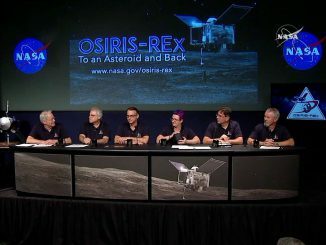 Watch as NASA holds a news conference at its Washington, D.C. headquarters to provide a preview of its OSIRIS-REx mission to asteroid Bennu and back. The mission is scheduled to launch on 8 September, reach the asteroid in 2018, capture a sample of the celestial body in 2020 and bring the specimen back to Earth in a special landing capsule in 2023. 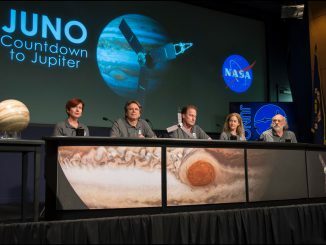 Watch as NASA holds a news conference to discuss the Juno mission and the probe’s planned 4 July arrival at Jupiter. The spacecraft will be the first to visit the gas giant in almost a decade. 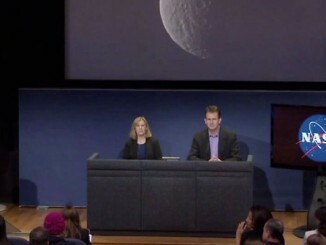 NASA holds a news conference at the Jet Propulsion Laboratory to preview the arrival of the Dawn probe at Dwarf Planet Ceres.